Harboe is the third largest brewery in Denmark, behind Carlsberg and Royal Unibrew. It was founded in 1883 and has been a publicly traded company since 1989. While it is an important player in the Danish Market, the company is still relatively small in the global scene. One of Harboe’s main efforts is growth through new markets. It currently received over 40% of its revenue from Germany, around 25% from Denmark and the rest is coming from other countries. The primary strategic focus of the company is to produce low end products at low costs, hence using price as the competitive advantage. Nonetheless, changing consumer preferences have forced Harboe to look for other ways to improve profit and consequently, the company is beginning to put more emphasis on product development and marketing in an effort to differentiate its products towards markets with higher profit margins. During the last decade, the company has been a poor performer in terms of growth and profitability; this has led to the rather poor performance of its stock when compared to peers. To put things into perspective we can compare Harboe’s performance with a close competitor Royal Unibrew. The company’s revenue has had a geometric growth rate of just 1.1% during the last five years, whereas Royal Unibrew achieved a geometric growth rate of revenue of over 13% over the same period. In terms of profitability the picture is almost as bleak. 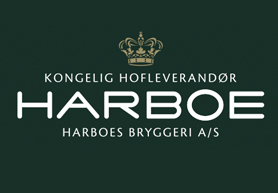 Harboe’s EBIT margin in 2013 is only 4.2% against 12.5% for Royal Unibrew. Harboe’s poor performance is the result of two main factors: first, the company is competing on price and this leads to ever smaller profit margins in an industry that is characterized by low growth and high competitive rivalry. The beer industry has experienced market saturation in much of the developed world, which has limited the industry’s growth potential and forced many companies to focus on emerging markets. With fewer options for growth, competitive pressure has forced consolidation through mergers and acquisitions. This has further decreased the company’s ability to compete with bigger players that utilize economies of scale. Second, there has been an overall decline in the size of the beer market in both Germany and Denmark. From 2010-2012 beer consumption in the two countries fell with 4.8% and 3.6% respectively. From 2013-2018 Germany is expected to experience a further decline in volumes of 1-2%. Danish volumes are on a similar declining trend; however, in 2013 volumes received an upward shock in form of reduced duties and beer prices. While these factors could imply a good case for turn around, we find this scenario to be highly unlikely given the third challenge, namely current management. Bernd Griese has been CEO of the company for almost three decades and he holds over 53% of the voting rights. He has stated his desire to stay in management and has blocked most possibilities for outside intervention or the possibility of an acquisition. As mentioned, the stock market has not taken too kindly on Harboe as a stock and its poor performance has been clearly reflected in the price. The company does not trade cheaply; it has a 12 month forward P/E of 76.8 against a peer average of 19.1. Forward EV/EBITA paints a different picture, since Harboe’s has a multiple of 6. 9 against a peer average of 8.9. 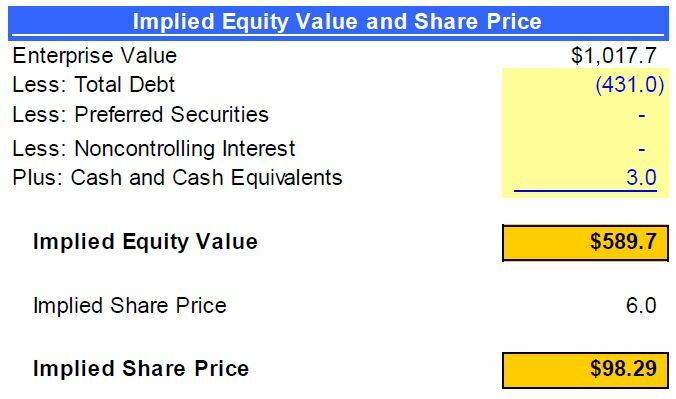 To establish is the company has upside potential we made a DCF valuation which indicates a fundamental value of 98 DKK per share (market price at date 8/28/14 is 94 DKK per share). The analysis is based on a growth rate of 2%, stable margins and a WACC of 8%. Since Haboes margins are very low, relatively small nominal changes in margins have significant impact on the value of Harboe. However, we do not expect to see positive developments in the value of the company and can conclude that the market is pricing it right.